On Sunday, June 10th, Winona accepted the gift from Misato, Japan of cherry trees. 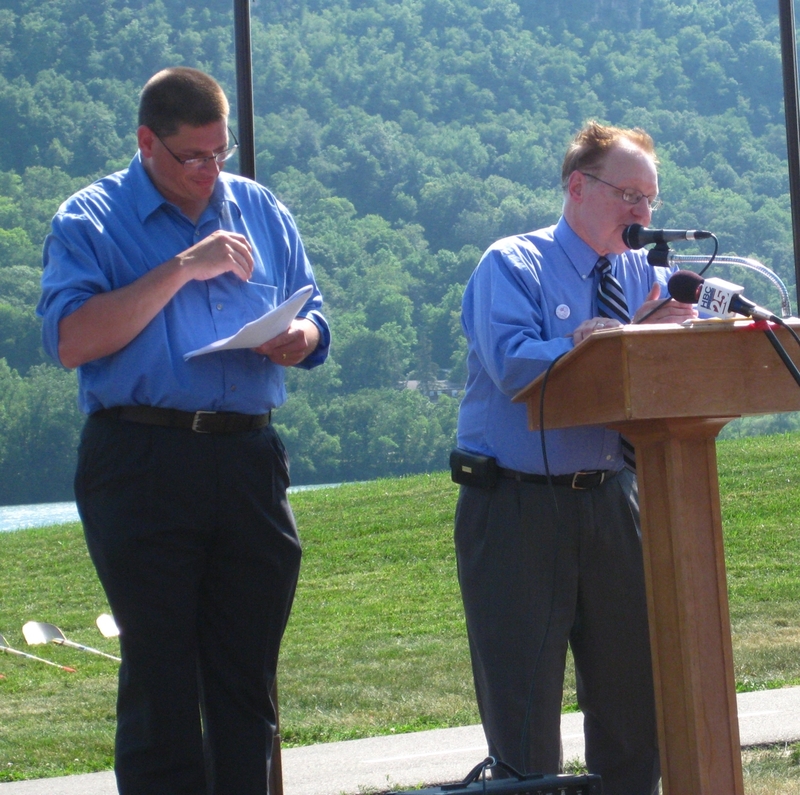 The celebration took place along East Lake, East of Hamilton Street in Winona. 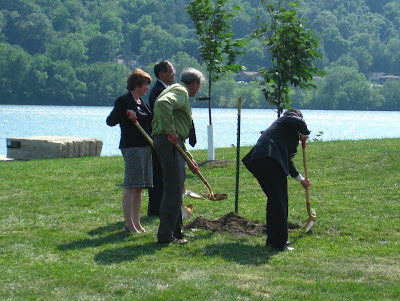 This historic event marks the centennial celebration of the 3000 trees given to the United States in 1912 from Japan. 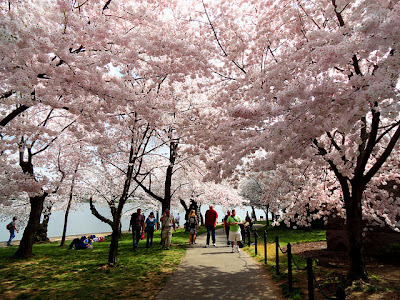 Today, Sakura, cherry trees show an incredible display of beauty each spring. Dignitaries from Japan and the USA shared words of friendship and hope for stronger connection with our two nations. 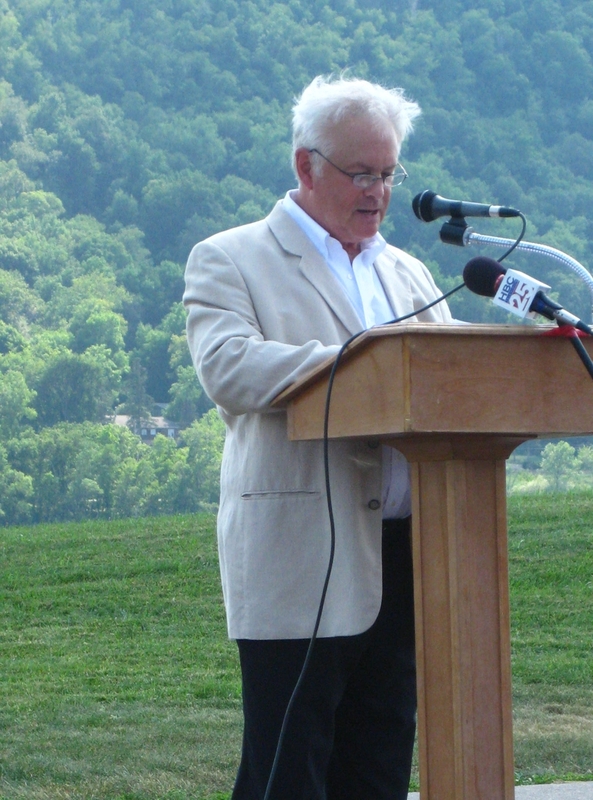 Winona Mayor Jerry Miller spoke of the bond that our counties share; he expressed a hope that as the trees grow in strength may the bond strengthen with our nations. Mayor Miller paused to allow Dr. Matthew Strecher to translate his words into Japanese. 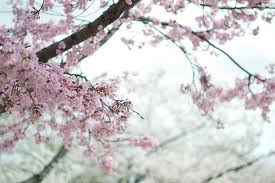 Mr Yasuhiko Kamada, Director of the Japan Information Center in Chicago spoke of his earliest memories of the Sakura, cherry trees blooming at the beginning of the school year. Their beauty was a sign of new beginnings and a fresh start on the first day of school. “May the cherry trees be a symbol of a special bond that grows,” he said. 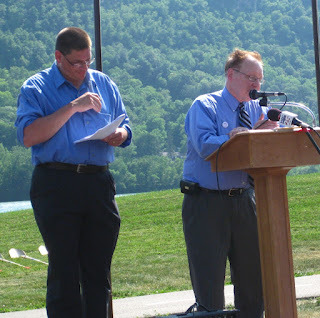 His wishes for blossoms on bright and windy spring days elicited laughter from the crowd about his reference to the extra gusty wind blowing on Sunday. 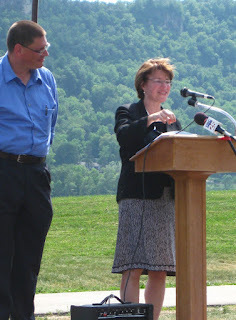 US Senator Amy Klobuchar talked to the crowd about the Cherry Trees as a generous Symbol of Hope. 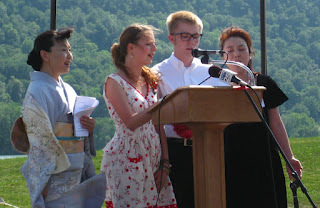 Mr. McCullough read a Japanese poem in English and Japanese Every Japanese school aged child is required to memorize Neither Yielding To Rain. 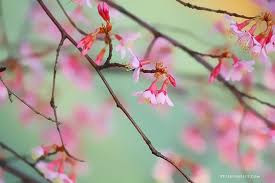 The Sakura blossoms have inspired many songs and artistic works. Japanese and United States singers. Mr. Yasuhiko Kamada, Director of Japan Information Center Chicago, US Senator Amy Klobuchar, Winona Mayor Jerry Miller and Misato Mayo Sasaki planting Sakura blossoming cherry trees beside Lake Winona. Blossoming Sakura for hope. Thank you Misato, Japan. We are blessed by your friendship.